Julie Otsuka’s long awaited follow-up to When the Emperor Was Divine (“To watch Emperor catching on with teachers and students in vast numbers is to grasp what must have happened at the outset for novels like Lord of the Flies and To Kill a Mockingbird” —The New York Times) is a tour de force of economy and precision, a novel that tells the story of a group of young women brought over from Japan to San Francisco as ‘picture brides’ nearly a century ago. Julie Otsuka was born and raised in California. She is the author of the novel, When the Emperor was Divine, and a recipient of the Asian American Literary Award, the American Library Association Alex Award, and a Guggenheim fellowship. She lives in New York City. “An amazing, wonderful book that will surprise and delight you. . . . Otsuka keeps the language sparse yet evocative, her Hemmingway-like descriptions of scenery and events are lyric and transfixing. . . . Once you engage with this book, it won’t let you leave it, not until you enjoy the last word in the last sentence.” —Greg Langly, Baton Rouge Advocate. The Buddha in the Attic is narrated in the first person plural, i.e., told from the point of view of a group of women rather than an individual. Discuss the impact of this narrative decision on your reading experience. Why do you think the author made the choice to tell the story from this perspective? The novel opens with the women on the boat traveling from Japan to SanFrancisco. What does Otsuka tell us is “the first thing [they] did,” andwhat does this suggest about the trajectories of their lives? What are the women’s expectations about America? What are their fears?Why are they convinced that “it was better to marry a stranger inAmerica than grow old with a farmer from the village”? Discuss Otsuka’s use of italics in the novel. What are these shifts intypography meant to connote? How do they add to our knowledge of thewomen as individuals? Otsuka tells us that the last words spoken by the women’s mothers still ring in their ears: “You will see: women are weak, but mothers are strong.” What does this mean, and how does the novel bear this out? In the final sentence of “First Night,” Otsuka writes, “They took usswiftly, repeatedly, all throughout the night, and in the morning whenwe woke we were theirs.” Discuss the women’s first nights with theirnew husbands. Are there particular images you found especially powerful?How did you feel reading this short chapter? Why was the first word of English the women were taught “water” ? In the section entitled “Whites,” Otsuka describes several acts ofkindness and compassion on the part of the women’s husbands. In whatways were the husbands useful to them or unexpectedly gentle with themin these early days? How does this reflect the complexity of theirrelationships? What are the women’s lives like in these early months in America? Howdo their experiences and challenges differ from what they had been ledto expect? How are they perceived by their husbands? By theiremployers? Discuss the disparity between the women’s understanding oftheir role in the American economy and what Otsuka suggests is theAmerican perception of the Japanese women’s power. Later in this section, the women ask themselves, “Is there any tribe more savage than the Americans?” What occasions this question? What does the author think? What do you think? Discuss the passage on p. 37 that begins, “We forgot about Buddha. We forgot about God. . . . I fear my soul has died.. . . And often our husbands did not even notice we’d disappeared.” What does Otsuka mean by “disappeared”? What is she suggesting abouttheir spiritual lives, their inner selves? Do the women reappear inthis sense in the course of the novel? When? Throughout the novel, Otsuka uses the phrase “One of us…” Why? What isthe effect of this shift in point of view? What does Otsuka achievethrough this subtle adjustment? Otsuka writes, “They gave us new names. They called us Helen and Lily.They called us Margaret. They called us Pearl.” Discuss how thismirrors the names taken by the women’s children later in the novel. Discuss the complexities and nuances of the relationship between theJapanese women and the white women. Was it strictly anemployer/employee relationship, or something more? What is J-town? Why do the women choose J-town over any attempt to return home? The section called “Babies” is just six pages long but strikes withunique force. What was your reaction to the experiences of the women inchildbirth? Take a close look at the last six sentences of the chapter,with a particular emphasis on the very last sentence. On what notedoes Otsuka end the chapter, and why? What does that last sentencereveal about Otsuka’s ideas about the future and about the past? “One by one all the old words we had taught them began to disappearfrom their heads,” Otsuka writes of the women’s children. 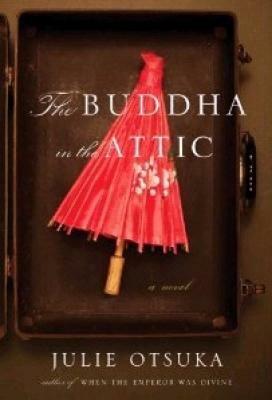 Discuss thesignificance of names and naming in The Buddha in the Attic. What does it mean for these children to reject their mother’s language?What point is Otsuka making about cultural inheritance? How is the structure of the penultimate section, called “Last Day,”different from the structure of all the sections that precede it? Why doyou think Otsuka chose to set it apart?